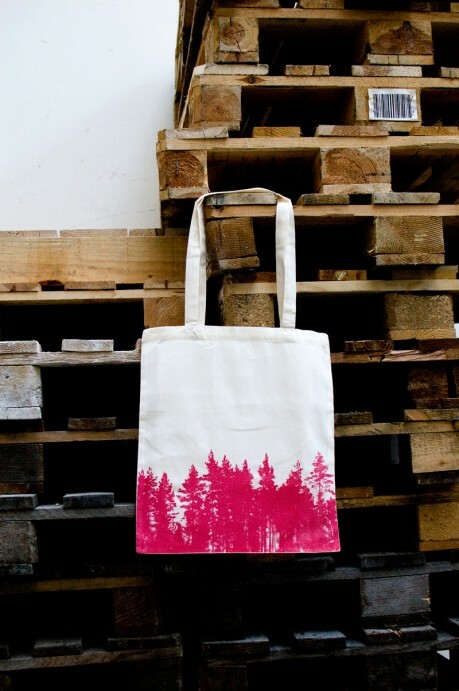 A forest silhouette in magenta on a tote bag. 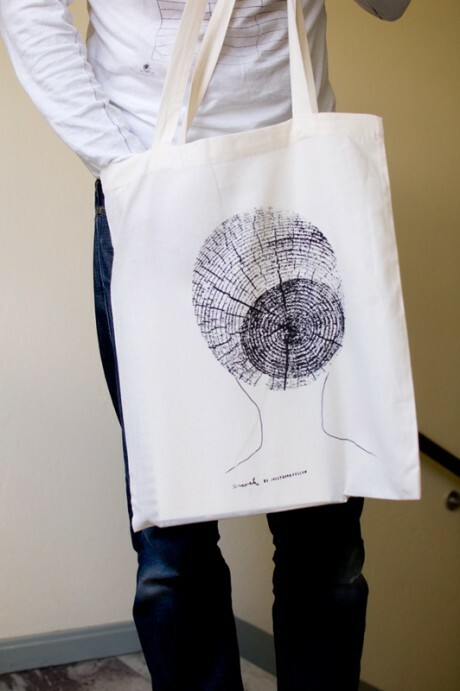 The silhouette is shot in the forest by the clear-felled area where our prints “Sisaret” and “Long Play” come from. We enjoy going to this remote place in the finnish country side for inspiration and recreation. The Cone is a favorite among our prints for the kids, so we had to print it on a tote bag as well! A piece of the beautiful forest, plain and simple. 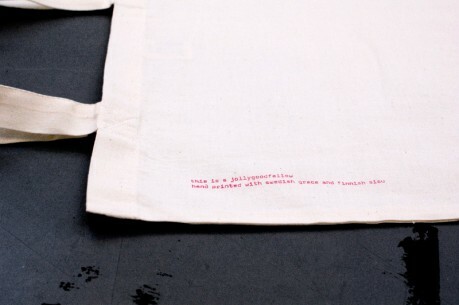 Organic cotton for the sake of the planet. Which is your favorite record? 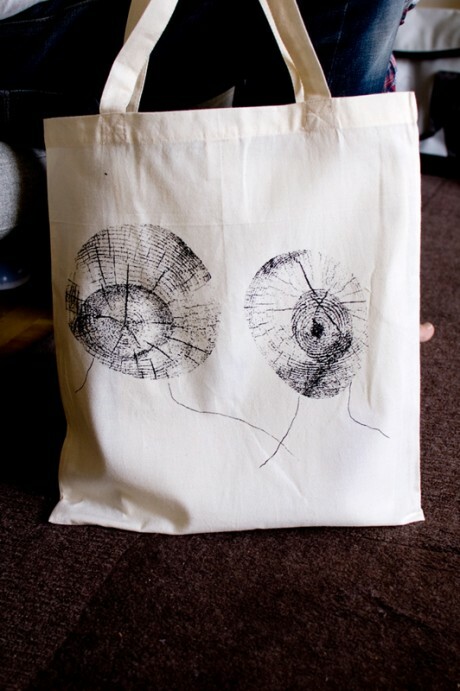 Here is a way to show the world which music inspires you. The music gets new visual forms and become more and more digital, but we like the tactile feeling of a gramophone record, to grab a cover and pull out a long play! 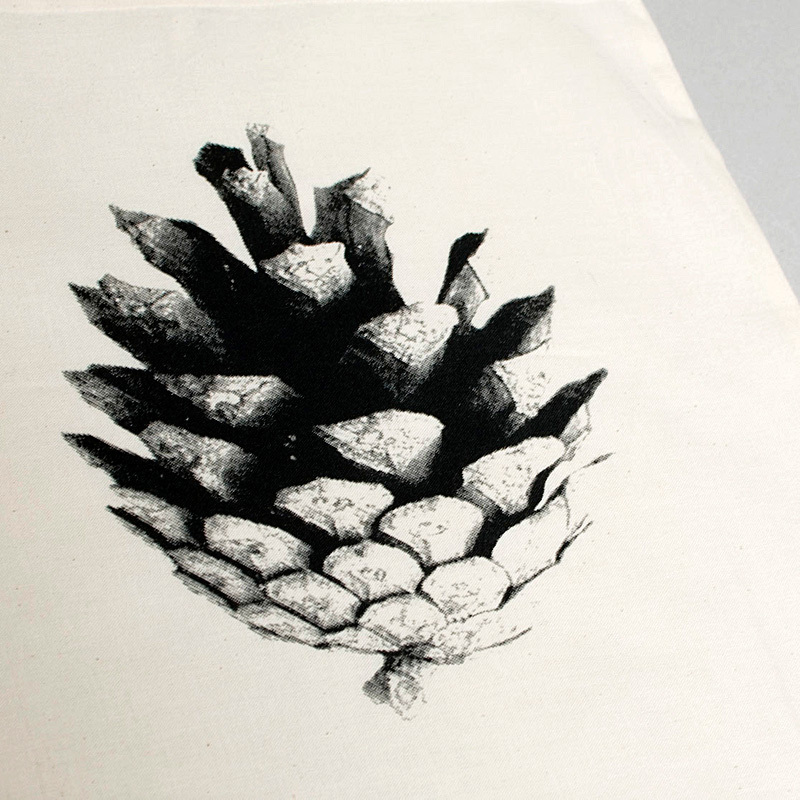 We see the print as a hybrid between two of our biggest sources of inspiration – music (LP) and nature (log). We call it simply Long Play. 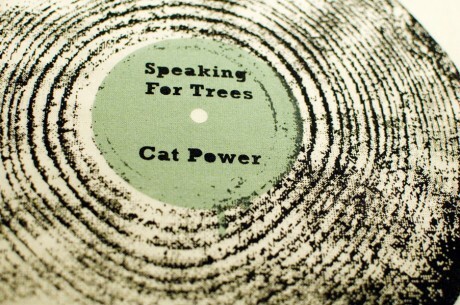 Originally it was created as an alternative album cover for the delightful pop duo The Forest And The Trees and is now living its own life and has evolved into a kind of monotype. Every tote bag will be unique! 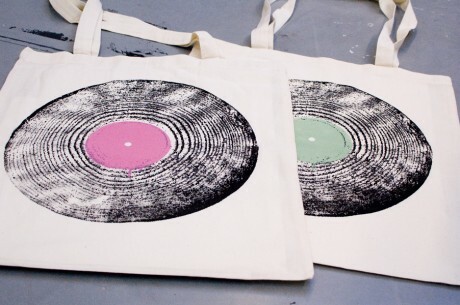 We screen print the “LP” without the title and when you decide which record title you want us to customize the bag with, we print the text using a custom-made template. Right now it’s available with green or pink label at supermarket and signerat. Sisaret is the Finnish word for sisters. This print is dedicated to Esa’s late mother and all other sisters. In the 60’s and 70’s there was an unwritten rule in some churches that women shouldn’t cut their hair but wear it in a topknot (pingstknut in swedish), the tighter the better. 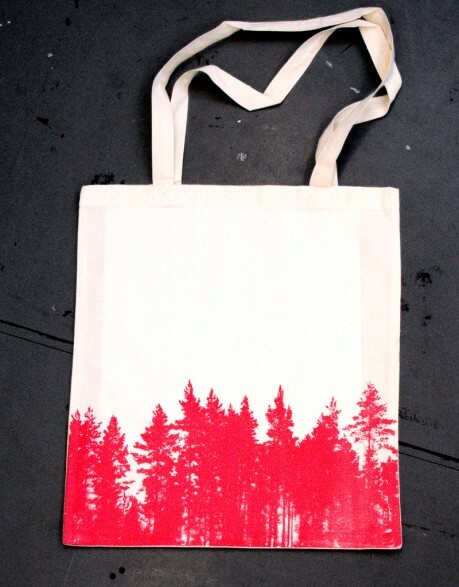 To get the right feel for this print we took pictures of timber in the Finnish countryside. 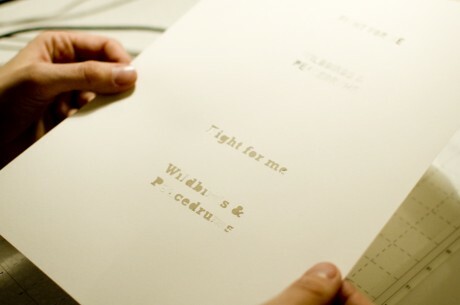 These are the first prints of Sisaret and there is more to come! If you would like to carry one of these rare beauties, you find them at Supermarket or NDC. 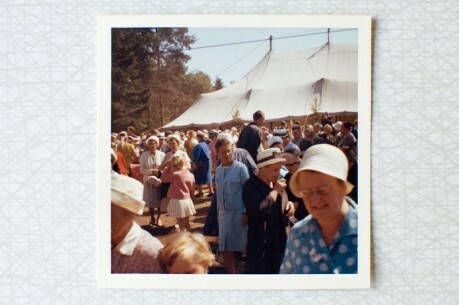 Camp meeting in the late 60’s, Finland. 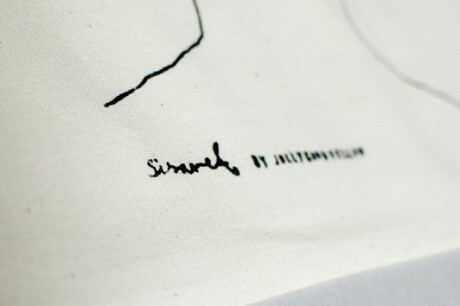 Our print Kotten2 has finally received a bit more dignified name: Jussi! 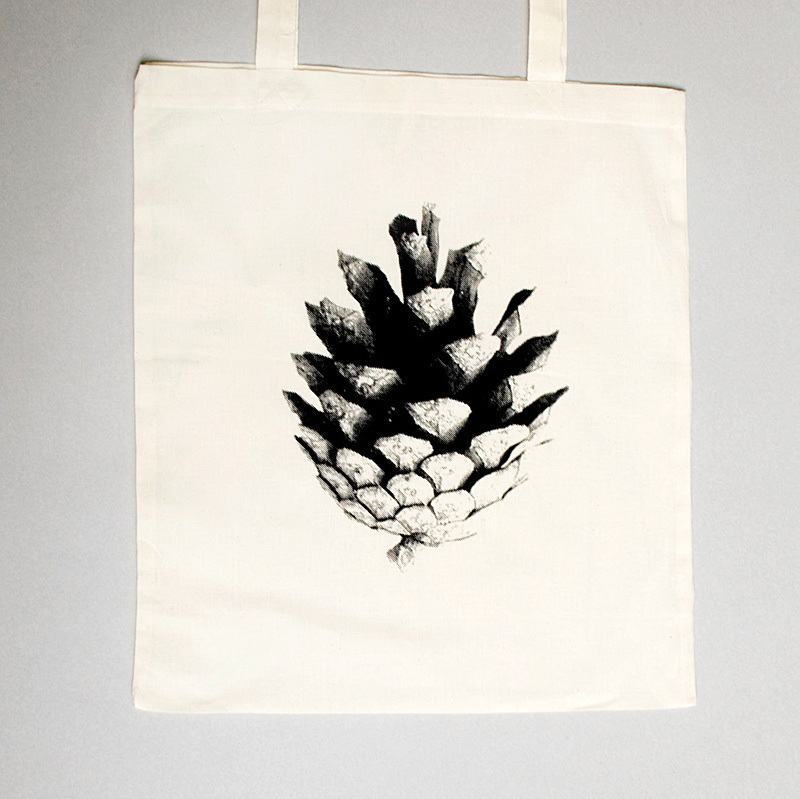 and now you can find it at supermarket on T-shirts and tote bags. 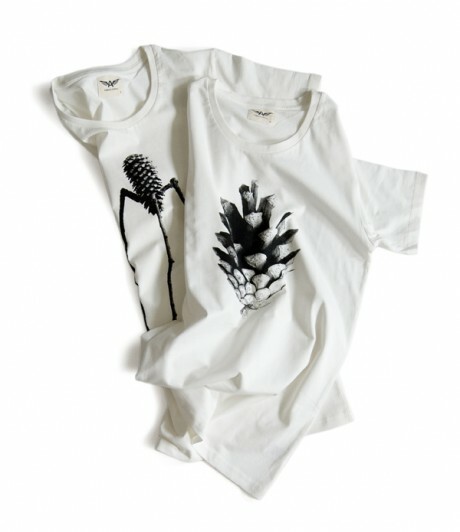 By jollygoodfellow|WEAR|Comments Off on juicy, Jussi! Available at Supermarket and NDC. Löv känns angeläget på många vis, både med tanke på deras roll i fotosyntesen som ju faktiskt är livsviktig för oss och den andra typen av lööv som är viktig för oss som sociala varelser. I helgen anländer 30 lööv till Åhléns city, liksom när kottarna gästade city är också detta ett samarbete med Flying A.
Samarbetet Flying A / jollygoodfellow har nu resulterat i ett helt gäng kott-T-shirts! Tröjorna är av det lite längre slaget och trikån tunn men tät, vilket känns finfint nu när det (förhoppningsvis) blir riktigt varmt snart. Upplagan är numrerad och säljs på Åhlens city i Stockholm. Vi är glada och stolta!